I don’t know how many times my kids have asked me to make a t-shirt at the last minute. Something with a team name for field day, a gift for a friend, etc. 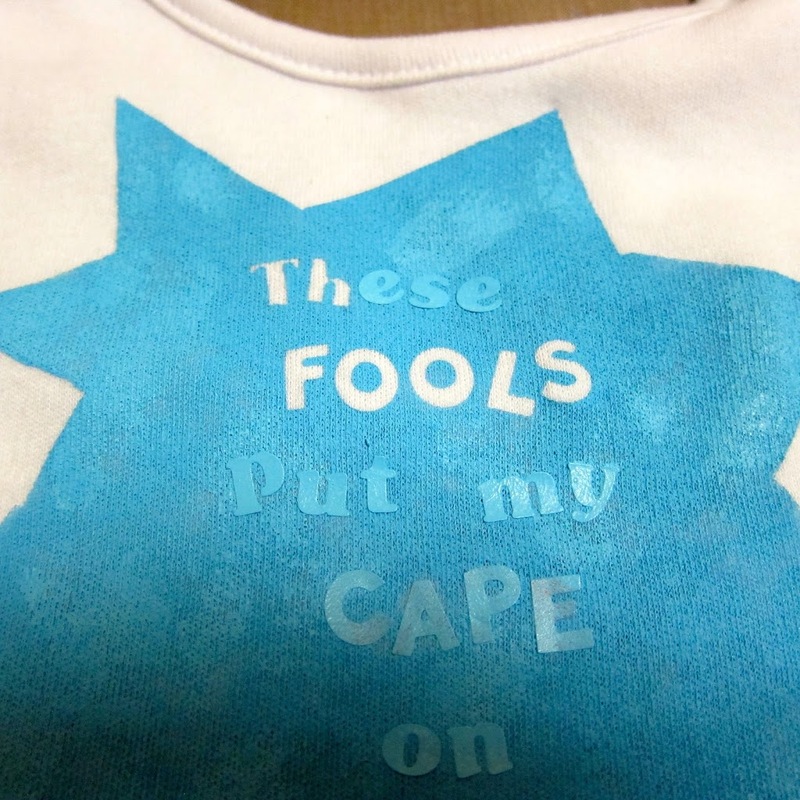 I actually keep a stash of $1 t-shirts from Dollar Tree in my craft room, and I’ve developed a quick, inexpensive method for neatly painting text on fabric. 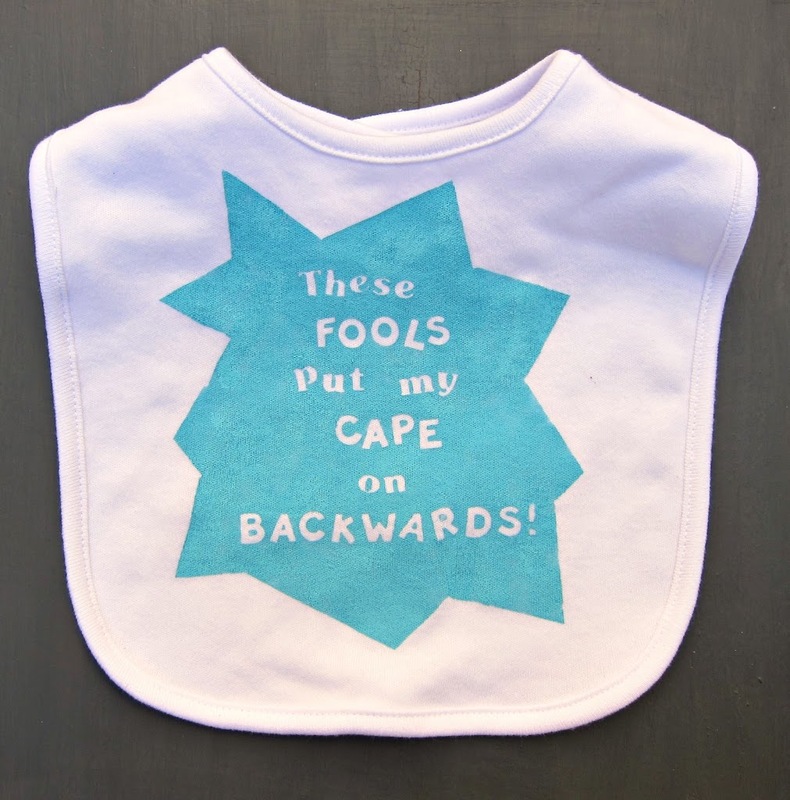 For this example, I’ll show you how I quickly made a bib. I actually used this idea for a baby shower I just threw. 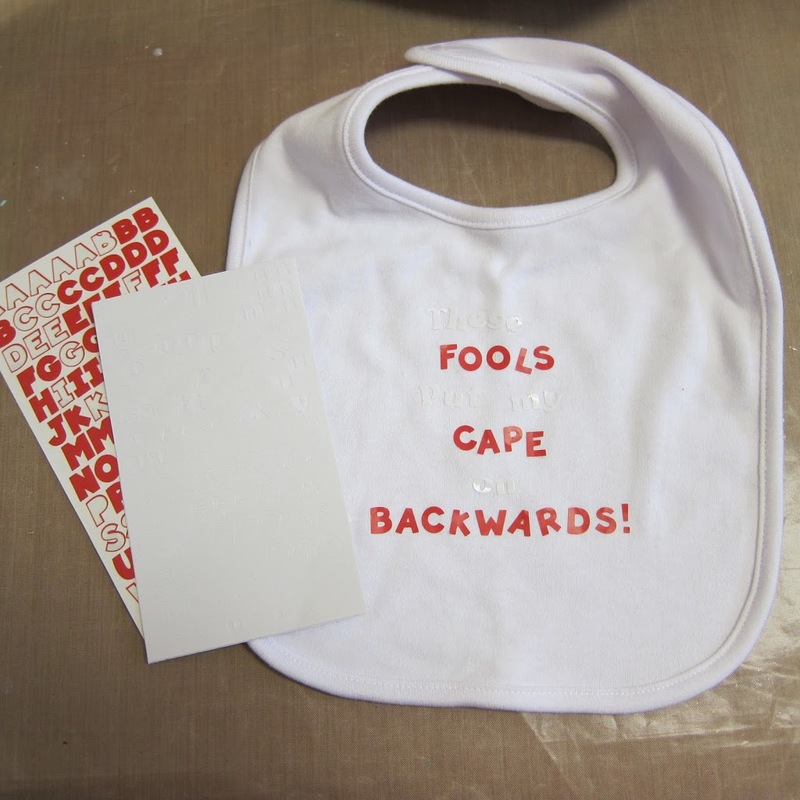 We had a bib decorating table, and I set out stamps (like I did here), stickers, and paint. Step one: Write the message using alphabet stickers. I used different sticker sets to vary the text. Press the stickers onto the fabric firmly. Step two: Use washi tape to frame the text. to dab the paint on, so I don’t push paint under the sticker. 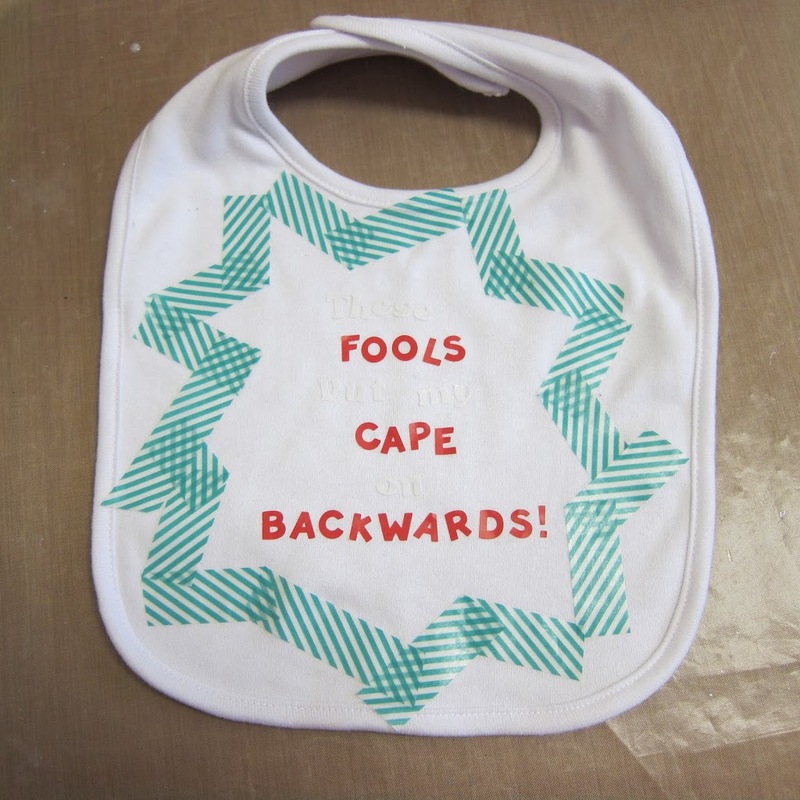 I used fabric paint for baby gifts, like this bib, because they are softer, but any permanent paint will work. 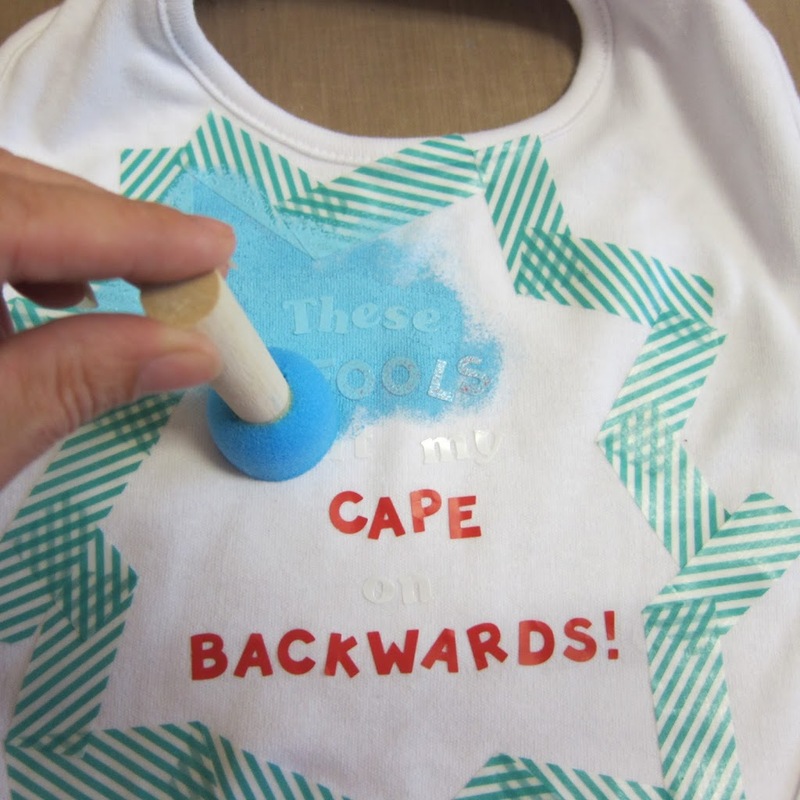 Step four: Once the paint has dried, remove the tape and stickers to show your message! 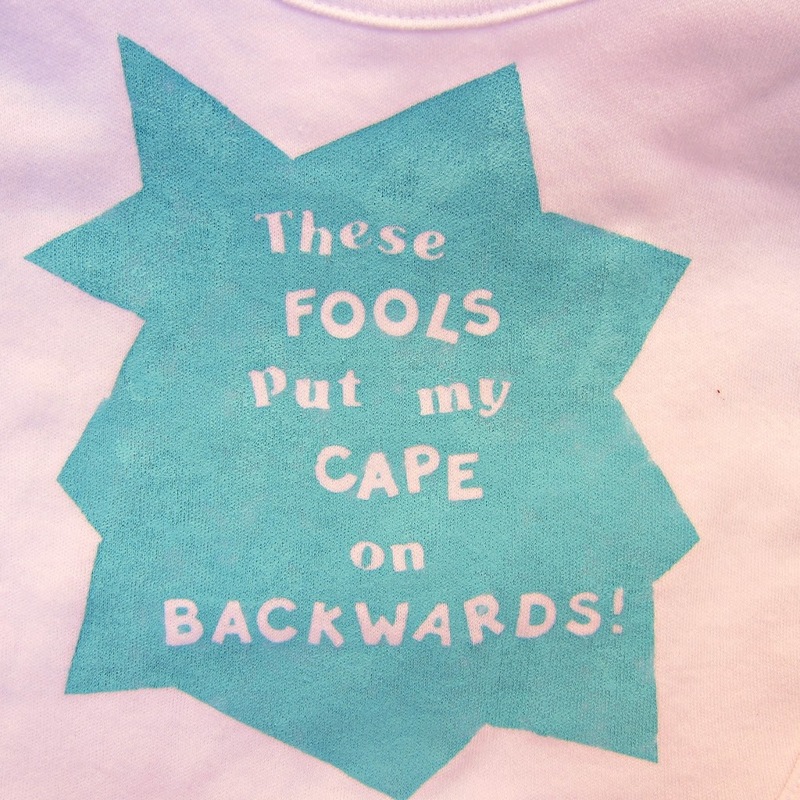 I’ve used this technique on t-shirts, like this baby shirt I made for my youngest son. 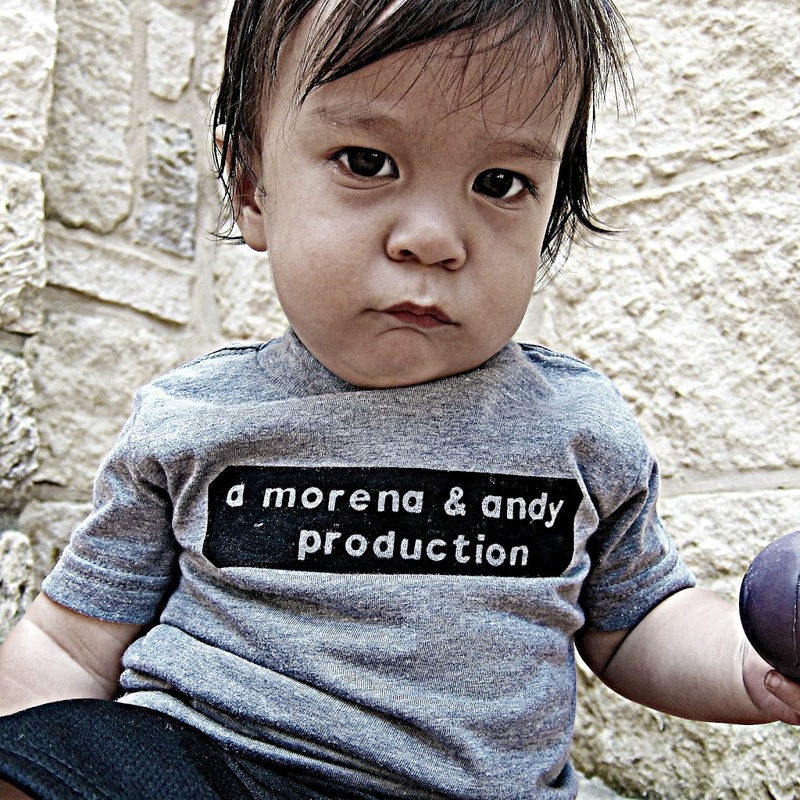 I’ve also made shirts for my older boys, using larger stickers. 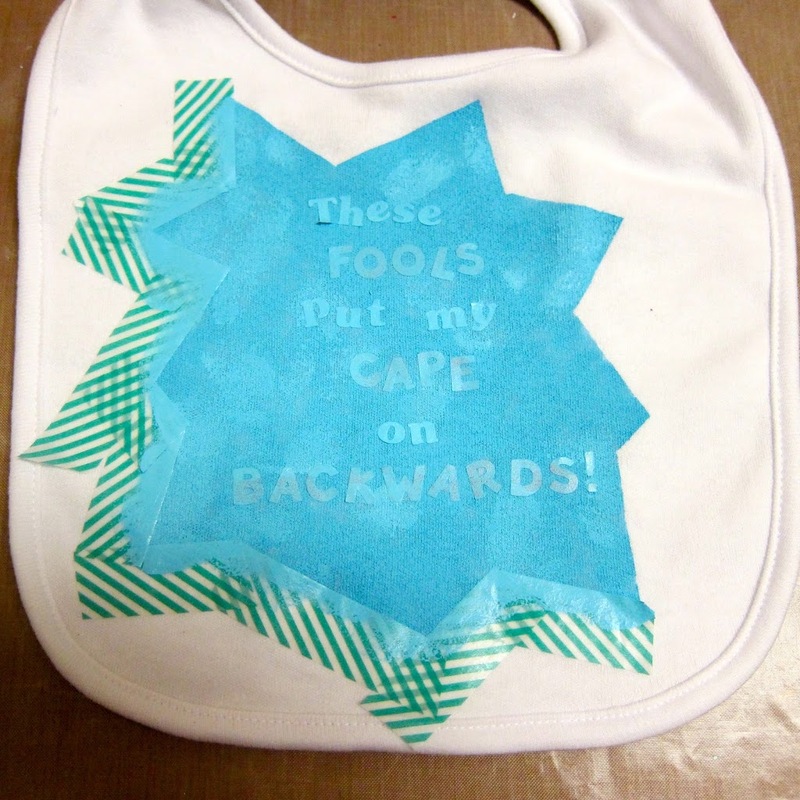 This would be a quick, fun way to embellish pillows, placemats, or any other fabric item you want to add text to. Have fun crafting and creating!